jiltedpom has no other items for sale. Details about Donald Duck - Quack Attack (Sony PlayStation 2, 2005). FREE POSTAGE. 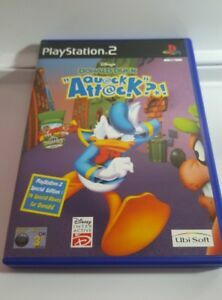 Donald Duck - Quack Attack (Sony PlayStation 2, 2005). FREE POSTAGE.